Lae Electronic is an Italian company, founded in 1973, specialising in the development and manufacture of temperature and humidity controllers. It represents a benchmark in the market for temperature control in refrigeration, air conditioning and heating, applied in refrigerators, ovens, incubators, air conditioners, greenhouses, climatic chambers and many other applications. The brand has an R&D centre that guarantees the development and innovation of the products manufactured, as well as the certification according to the directives of the European Commission. Lae Electronic products are present all over the world and ensure reliable and effective responses, even in more hostile industrial environments. In Portugal, Bresimar is the authorised representative of the brand. 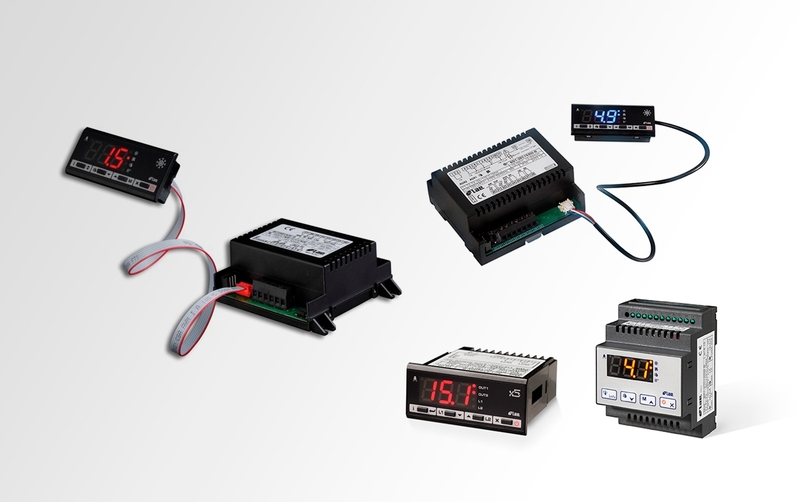 Simpler temperature or humidity controller for temperature applications up to 150ºC. Examples of applications: small refrigeration chambers, heating systems, greenhouses and air-conditioning systems. Temperature, humidity or current input controller, with the possibility of two outputs and temperature up to 999ºC. Examples of applications: ovens, small refrigeration chambers, heating systems, greenhouses and air-conditioning systems. Temperature, humidity or current input controller, with the possibility of two outputs, temperature up to 999ºC and applicable in DIN rail. Examples of applications: ovens, small refrigeration chambers, heating systems, greenhouses and air-conditioning systems. Temperature or humidity controller, with possibility of two outputs, temperature up to 150ºC and wall application. Examples of applications: swimming pools, small refrigeration chambers, heating systems, greenhouses and air-conditioning systems. The range of refrigeration controllers is diverse and varies, relative to the probes they integrate, the outputs, the type of communication and the applicability of the different models. Defrost controller for high temperatures, with cooling or heating operations (selectable). Examples of applications: refrigerated cases and counters, refrigerated display cases, refrigerators and heated cases. 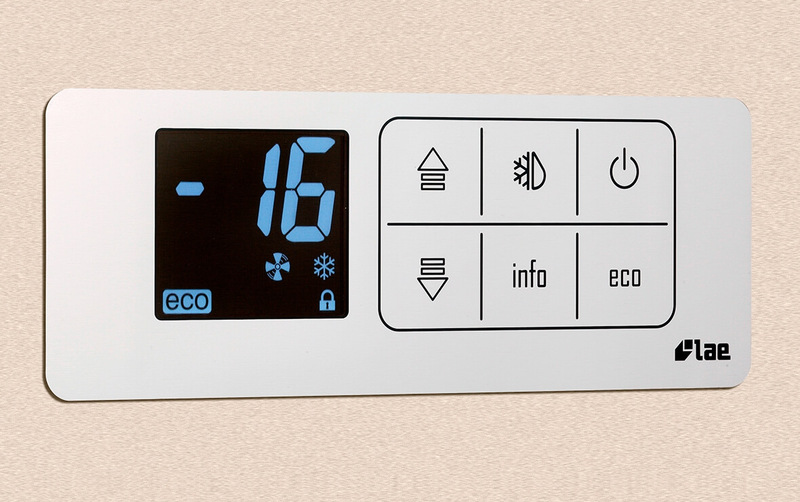 Defrost controller for high and low temperatures, with cooling or heating operations (selectable). Examples of applications: cases and counters for high and low temperatures, refrigerated display cases, refrigerators and heated cases. Defrosting controller for display cases and refrigerators, applicable in defrosting cycles. Examples of applications: supermarket display cases, refrigeration chambers, refrigerators, vertical freezers and refrigerated counters. Defrosting controller with RTC for display cases and refrigeration chambers, with the possibility of up to 6 defrosting cycles in real time. Examples of applications: supermarket display cases, refrigeration chambers, refrigerators, vertical refrigerators and freezers and refrigerated counters. Defrosting controller for refrigerated transport, with cooling or heating operations (selectable) and with neutral range. Examples of applications: refrigerated transports, refrigeration chambers and display cases. Defrost controller with RTC, applicable in DIN rail and with cooling or heating operations (selectable). Examples of applications: supermarket display cases and refrigeration chambers. Defrost controller with selectable cooling or heating operations. Examples of applications: supermarket display cases, refrigeration chambers, vertical refrigerators and freezers and refrigerated counters. Separate defrost controller with 3 relay outputs. Examples of applications: supermarket display cases, refrigeration chambers and vertical refrigerators. Separate defrost controller, applicable in defrosting cycles and with the possibility of synchronisation with other controllers. Examples of applications: supermarket display cases, refrigeration chambers and vertical refrigerators. Separate defrost controller with RTC, with up to 6 defrosting cycles in real time and the possibility of synchronisation with other controllers. Examples of applications: supermarket display cases, refrigeration chambers and vertical refrigerators. The MS-27 series is specific to compressor controllers for cryogenerators. Multi-compressor or multi-fan controller, suitable for use in cryogenerators in supermarkets, refrigeration chambers and in all cryogenic systems. The Lae Electronic indicators are designed to measure and display temperature or humidity without controlling the operation. Thermometer or hygrometer for temperature ranges from -100 to 900ºC. Examples of applications: refrigeration chambers, refrigeration cases and counters, greenhouses, ovens and air-conditioning systems. Thermometer or hygrometer configurable for operation in temperature ranges from -100 to 900ºC. Examples of applications: refrigeration chambers, refrigeration cases and counters, washing machines, greenhouses, ovens and air-conditioned rooms. 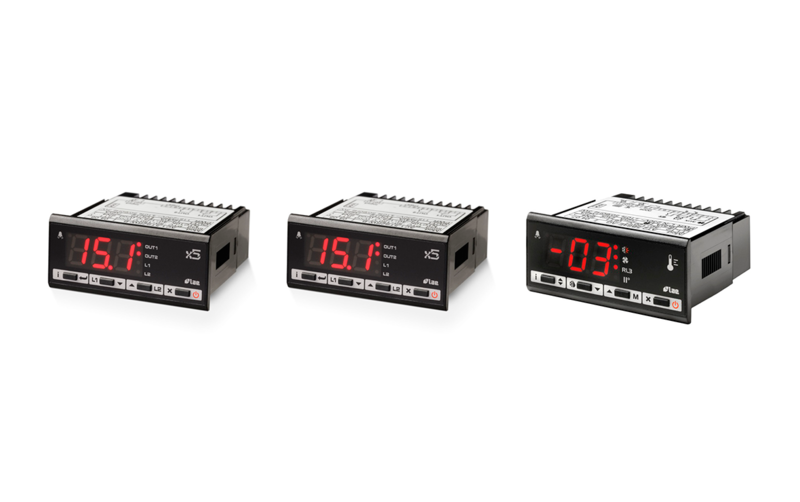 The range of timers is applicable in the control of the duration of industrial processes. Countdown timer for use in the control systems of industrial process duration, mass retardants and bake time control systems. Countdown timer for use in controlling the duration of industrial processes, mass retardants, cooking time in ovens, among others. Lae Electronic provides supervisory systems in order to integrate the various processes of a supermarket or in an industrial environment. The TAB enables management of alarms and tasks virtually, in addition to recording events of Lae Electronic equipment. It can be used in the supervision of refrigeration processes in supermarkets, gas stations, shops, large kitchens, food manufacturing, cruise ships, among others. Integrated web solution for remote monitoring, data logging and alarm management. Data converter between RS-232 and RS-485, used together with TAB software. Wireless communication converter used for systems where wire laying is expensive and difficult. Data logger that allows recording of process temperatures and states (e.g. defrosting). It can be used in: HACCP (Hazard Analysis and Critical Control Points), diagnostics of installations, recording of alarm events, among others. Lae Electronic provides temperature, humidity, and pressure probes.